This home is the perfect setting to relax and enjoy the ultimate South Haven vacation! 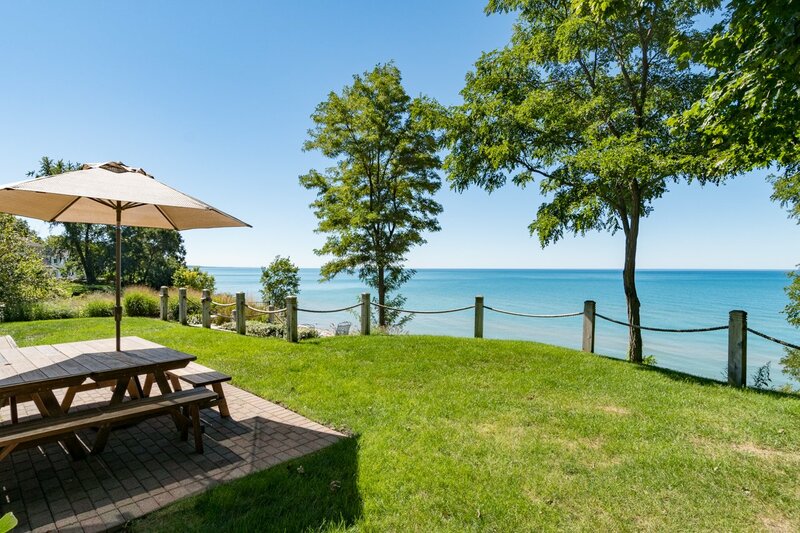 You will love roasting s'mores, gathering around fire pit, hanging out in the hot tub, playing Giant Jenga in the yard, or simply sitting bluff side and gazing at the beautiful blue water of Lake Michigan! Bluff restoration has been completed with a sandy landing for gathering and limestone stairs to the lake! Photos have been uploaded to the listing. Spacious open floor plan with expansive windows showcase endless views of Lake Michigan. Chef’s kitchen features commercial grade appliances and fireside dining table. Main floor master suite has claw foot soaking tub and separate shower. Second floor has two bedrooms and a full size bath. 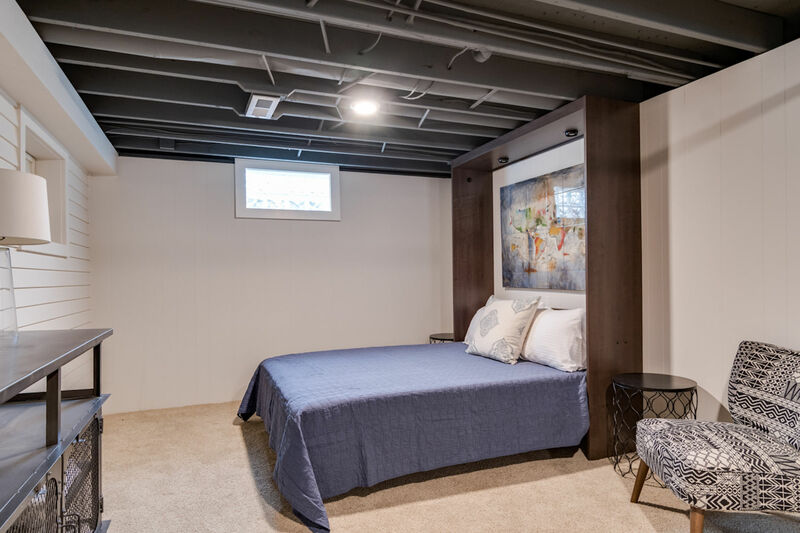 The upgraded basement features large sectional and TV, Foosball Table, play area, and a queen size Murphy bed with plush mattress. 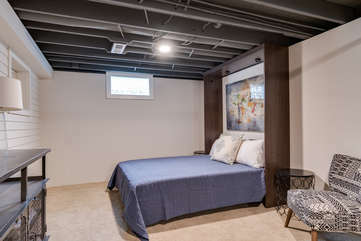 Basement is counted as the fourth bedroom and has curtain panels to provide privacy. This home is conveniently located close to downtown, South Beach, and the Lighthouse. If you have younger children check out Kids Corner Park. 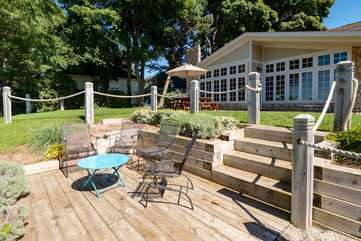 It has a huge wooden fort-like structure with a cool parent observation area where you can enjoy the breeze of Lake Michigan while watching the kids play. Please note, water levels can change on a daily basis. Hot tub may be winterized for some months during non-peak season, please inquire for more details. Dining w/Fireplace & Seating for 12!